When you start a blog, you understandably look for advice from experts to help get you started. You look at countless blogs in your niche – ones that have probably been going for a while and enjoying various types of success. It can be quite overwhelming, and sets you up for the comparison game and ‘perfection paralysis’ – not wanting to hit publish until your blog looks perfect. Just recently we asked the ProBlogger Community to submit their stories of starting a blog, and their tips for those considering starting a blog in 2018. 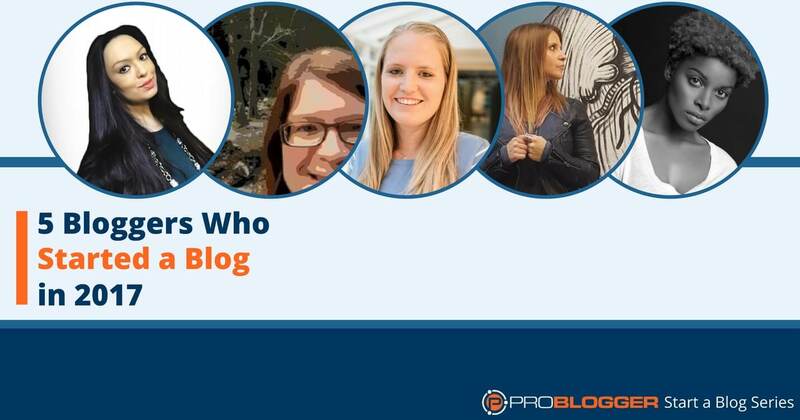 We received so many stories, some of which have been published on the ProBlogger podcast. Today we’re sharing stories of those still in the early stages of starting a blog who haven’t forgotten those early frustrations, and have tips that might help you at at the start of your blogging journey. We’ve summarised their responses below, and included a link to their recordings (mp3 files) so you can download and listen to them in full. 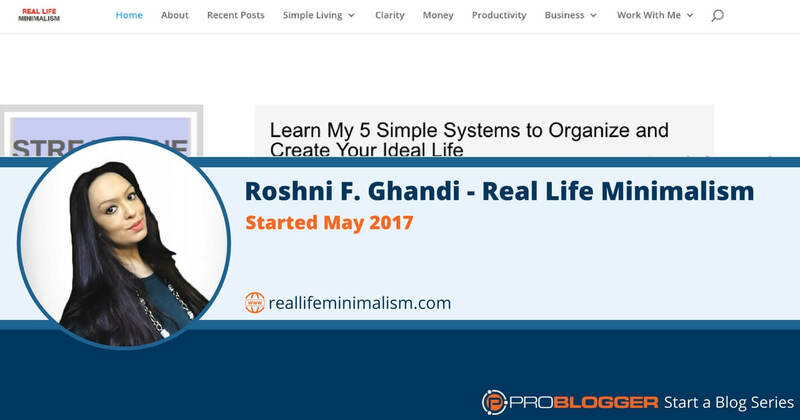 Roshni is a lawyer and entrepreneur who discovered the importance of having systems in her personal life and business. It inspired her to start her blog Real Life Minimalism in May 2017 so she could help others. Hindsight: Roshni was grateful she took the time to understand the technology and tools such as WordPress. Mistakes: Before discovering ProBlogger, she heard advice to create webinars and funnels and forgo blogging. She finally realised a blog is a foundation, and started one to support her business. Successes: Roshni has made a lot of connections and friendships through her blogging, and has been approached for collaborations off her blog that have helped support her business. Tip: Her tip is ‘Know-Plan-Evolve’. Have a bird’s-eye view of what you want to create, listen to your audience, be flexible and open to change, and avoid distractions. Jenny made a lot of changes in her life including taking control of her finances, becoming healthier and losing weight. She also started thinking and planning more about her career and retirement. 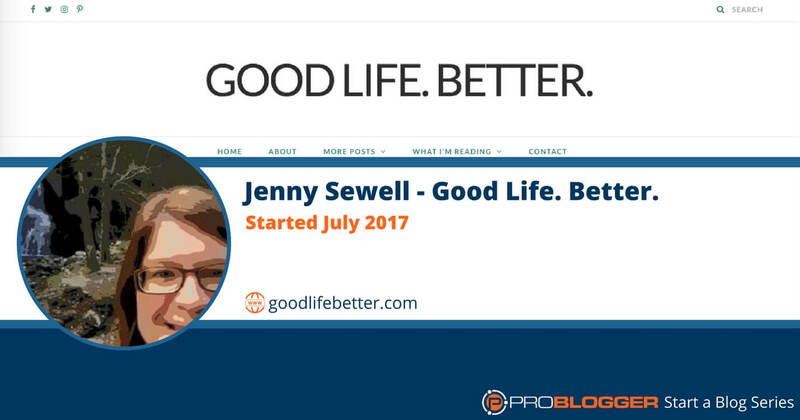 She realised there were very few positive stories on the internet for women who needed to do the same, so she started her blog Good Life. Better. in July 2017. Hindsight: Jenny was glad she just jumped in with one post and hit publish. She learned as she went, and invested in learning WordPress by watching videos. Mistakes: Jenny was getting overwhelmed. She wanted to do everything at once, and was even dreaming about how her sidebar should look like rather than getting good sleep. She also fell into the trap of buying too many books and courses. She realised she needed to work out her priorities. Successes: While she’s enjoyed meeting the blogger community where she has received a lot of support, she realised she needed to write for her avatar, not other bloggers. Another big positive is having a creative outlet. Tip: Look long term. Be okay with having your first year as your learning year and getting to know your audience. Becca had a local networking group for local wedding suppliers, and realised that people getting married didn’t know about them. 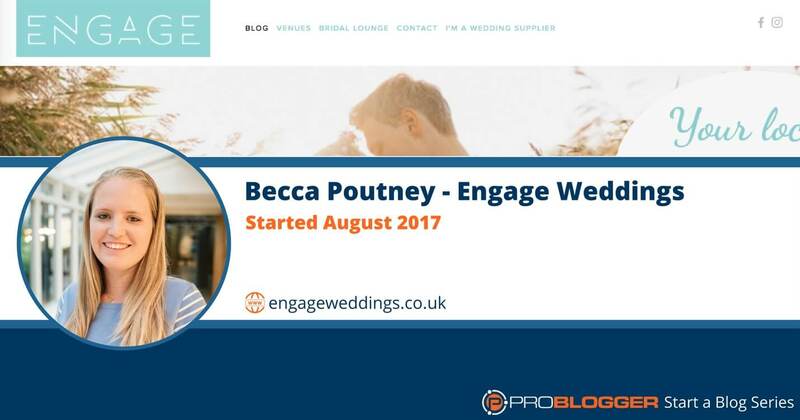 She started her blog Engage Weddings in August 2017 to help people getting married discover local wedding suppliers. Hindsight: Becca is grateful she had a strategy for what she wanted to achieve and the content she wanted to create in the first few weeks. Having a networking group of contacts also made everything a lot easier, as she was able to source guest content from other suppliers. Mistakes: Becca made the mistake of thinking her blog could grow quickly and fast. She realises now that it takes work, and is excited for the future. Successes: Her established network of contacts enabled Becca to use her blog to promote and run a successful event, bringing together 21 suppliers and 75 guests. Tip: Before you start, find a network of other bloggers, businesses or people in your niche (either online or in real life) to help inspire and support you. 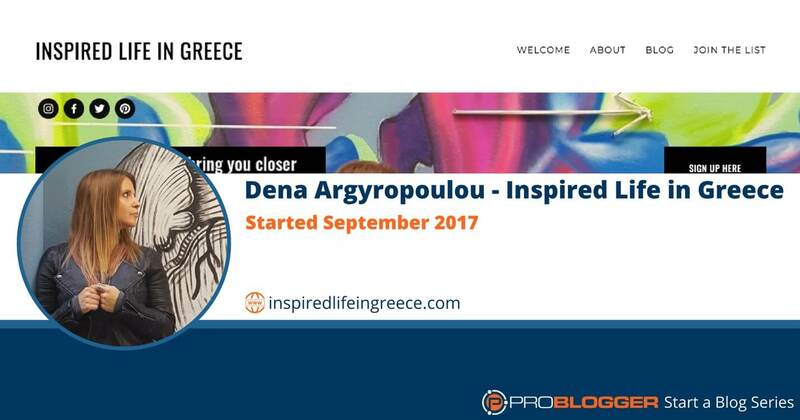 Dena uses her blog Inspired Life in Greece as a platform for self-expression, and to document how moving from California to Greece (where she’s from) gave her the courage to live a life aligned with who she is. She share tools and resources to help her readers define their authentic life, and plans to add online courses, products and coaching services. Hindsight: Dena is grateful she didn’t spend time doing things like designing a logo, and instead used the time to create worksheets for her newsletter subscribers. Mistakes: She chose an easier platform instead of going with WordPress and. She’s now switching over to WordPress with some help. Successes: To discover she could share good stories as a writer (her normal creative outlet is graphic design) and receive positive feedback from her readers, which has given her great confidence. Tip: Find balance between self-expression and creating content that’s valuable to your reader. 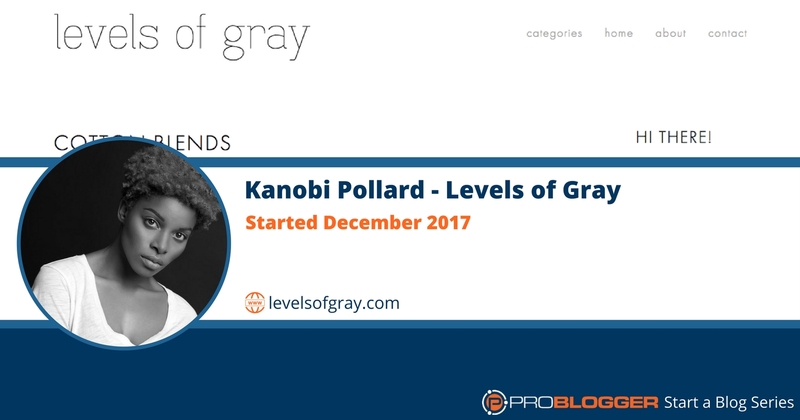 Kanobi’s blog levels of gray is the newest of the five, starting in December as a personal journal for Kanobi to share her thoughts on photography, beauty, travel and style. She wanted to document the levels of gray in people’s lives after being laid off from her corporate job last year, and was determined to start a blog in 2107. It took her all year, but she’s done it. Hindsight: Kanobi is grateful for all the blogger podcasts (such as Darren’s) she listened to before starting a blog, and the advice she received from them. Mistakes: She went through six changes of blog design before starting, with friends and family supporting her along the way. But she wishes she hadn’t told people about her blog before she even had a concrete vision of what is was herself. Successes: She has been surprised to get positive feedback on her writing. While she’s not generating the traffic she’d like to yet, her blog has already helped her reach people who may not have already known her. And she’s really happy with the experience she’s gained thus far. Tip: Find a topic you’re passionate about, and distinguish your voice rather than losing your message because you’re caught up in what everyone else is saying. If you’re planning to start a blog in 2018, check out their blogs so you can see what a new blog actually looks like. We hope you enjoy discovering some new bloggers, and enjoy their stories. Also consider joining our free course starting on 10th January 2018 with Darren. The post 5 Bloggers Who Started a Blog in 2017 and Survived appeared first on ProBlogger.